AIT Planet Lar, 9781932051469, 105pp. 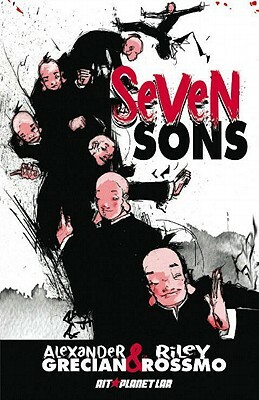 Seven identical Chinese brothers come to America during the Gold Rush of the 1850s. When two children fall through an iced-over river, Brother Number One tries to save them by breathing the entire river into his mouth. But he can't hold it long enough for them to get to safety and lets the water go, accidentally drowning the children. When a mob of angry townspeople tries to retaliate, each of Number One's brothers takes his place, using their remarkable abilities each time to save his life.